Freelance artist, Libbe is always looking to be a part of new and exciting projects. As a young girl, Libbe had a love for flowers and trees and often would sketch beautiful pictures. She never imagined that her passion for art would become her profession. Her favorite past time is painting and restoring old vintage and antiques furniture. Libbe has an eye for decor and she reinvigorates with her knowledge of restoration. The origin of medallions can be traced back to the Middle East where it served as a practical function in the early days. The popularity became widespread throughout Europe, particularly in France and Italy. Today, with the invention of modern lighting fixtures, ceiling medallions now serves as a primary decorative treatment to get attention to the lighting fixture or chandelier. Medallions come in a vast array of sizes and styles to meet your home and architectural design needs. 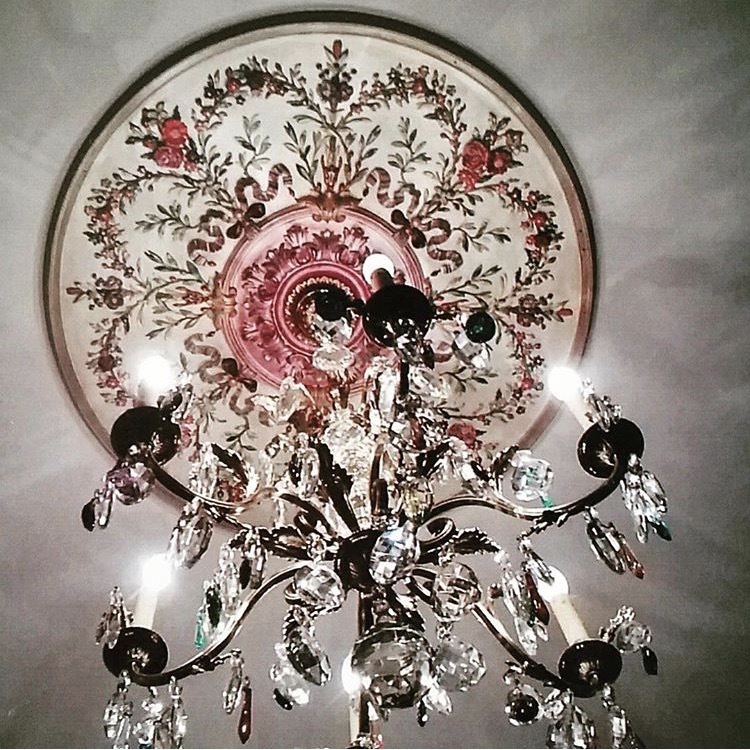 Installing a ceiling medallion above your chandelier, ceiling fan, or lighting fixture is a great way to expand the visual beauty of your ceiling and add value to your home. Ceiling medallions are designed from polyurethane, so they are lightweight, easy to handle and can be easily installed on your ceiling with adhesive or nails. These custom hand painted medallions are one of a kind and very unique to add the "WOW" factor to your home and ceiling. Libbe enjoys collaborating with her client in order create to personalized ideas to meet their needs.